Introduction The “Pearly Gates of Cyberspace” is a series of insightful reflections on the notion of space in the Western tradition, a notion that has found expression in our own times as the ubiquitous cyberspace, weighty in its enormous impacts and as yet unrealized potentials. The book begins with an evocation of the enticing Heavenly City of New Jerusalem, picturesquely mentioned in the Book of Revelations, and culminates in commentaries on the cyber-revolution by some its pioneers and trailblazers. It suggests that the new technology from which the magical world of the internet emerged took off so easily because it answered a very deep need in Western culture: the feeling of decadence and disruption at its core, not unlike in the times before the collapse of the glory of ancient Rome. Soul space The first chapter is on Soul Space. This is the world of the sun and stars, no more than an extension of our own regions from the modern perspective. But in the times when in the minds of people Heaven and Hell were not merely imagery, and angels and cherubim were literally flying around, there was that other world, real and concrete, occupying a very different space from ours. Even as Dante gave a guided tour of those extra-terrestrial realms in his Divine Comedy, Wertheim gives us a fascinating tour of Dante’s classic. I remembered how I was fascinated by Dante’s description of the different regions of that after-world, and his arbitrary placement in them of historical figures, and how I was glad he had not heard of Buddha or Krishna. Wertheim’s description of Dante’s poetic world as soul-space is uncannily insightful, though I am sure she would not describe the nourishment one obtains there as soul-food. Unfortunately, this metaphor-prone writing, which runs all through the work, leads to statements like “sin is the gravity of space” and of “gravitational pulls” in terminology amusing, if not objectionable. Physical space In the chapter on Physical Space, Wertheim has some very important things to say about the role of art as a precursor of science. She discusses with great insight the prescience of early painters as to the nature of physical space. She refers here to Giotto’s works, which become increasingly realistic in their content, reflecting the actual terrestrial world. In the works of the new artists one sees a departure from earlier efforts that conveyed more fantasy than factual representation. This was a definite turning point, from the symbolic (as medieval artists had done) to the actual. What a momentous change it was, wrought with unforeseen consequences: mankind went from being enriched by symbols to beings informed by facts. While recognizing the West’s indebtedness for its reawakening to Arab scholarship, Wertheim makes a passing comment: “We cannot but mourn the opportunity lost where in place of the Crusades the West might have sought instead an alliance with the Moslem world (p. 93).” Spoken more like an ivory tower philosopher than a soldier on the battlefield, for the problem was not that easy: Anyone familiar with current confrontations between the Islamic and their non-Islamic opponents, or indeed between any two contenders for a piece of sacred land, knows that groups do not always embrace one another for mutual cultural enrichment. 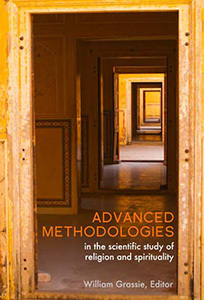 Wertheim presents with remarkable clarity the ancient Aristotelian view of space, its insistence on a space without volume, the challenge to it by Hasdai Crescas and others, and its final dethronement with the rise of modern science. She makes the insightful comment that “the growing obsession with physical space spelled disaster to the old medieval picture with its inherently spiritual scheme (p. 118).” She regards the shift from the medieval world of ethereal beings and post-mortem dwellings to a material terra firma with concrete things and people, not as a recognition of myths as poetry and imagery, but as a new interpretation of what space is all about. Wertheim reminds us that the Galilean-Newtonian understanding of the nature of physical space resulted in our losing a meaningful dimension of reality. The question is: Did a community of scholars fabricate of a new world picture as a result of their creative genius, or did they merely expose to the world that the ethereal entities of earlier eras were in fact fantasies? Celestial space Next we pass on to Celestial Space. In some ways this is the most important chapter in the book. Corresponding to the Aristotelian view of a celestial world up above where all motion was perfect and matter incorruptible, and a sub-lunar world of decaying matter and random motions here below, the medieval mind also pictured a higher realm which was real and a lower one which was but a pale and illusory dream. Moreover, the space above was not regarded as homogenous, whereas a tenet of modern science is precisely the opposite. For the ancient mind, the visible space of nocturnal skies was in fact the spiritual world: a linguistic vestige of that view may still be found in many languages. For example, ciel in French and Himmel in German mean both sky and heaven. This chapter traces the gradual transformation whose end affect was to make the celestial realm illusory and the terrestrial one the real one. It analyzes the overthrow of geocentrism, talks about De Cusa’s rejection of supernatural beings and discusses the heliocentricity of Copernicus, the subtle theological implications of an infinite formless void, and Kepler’s vision of a physical space in which planets orbit. Superficially, Copernicus kicked Man off center stage in the cosmic theater, but in fact he unwittingly elevated our habitat into the heavens themselves, for in this picture, the earth becomes an equal partner with other celestial bodies, like Venus and Mars and Jupiter. Finally, it is all a question of perspective. Wertheim brings out very clearly the deeper significance of the formulation of the law of universal gravitation. In one stroke, by the very term, the millennia-old dichotomy in the universe: the notion of a here below and a heaven above, was dissolved into a single overarching entity called space, extending to the farthermost recesses of the stellar void in whose stupendous bosom our tiny speck of a planet has a niche. “Celestial space and terrestrial space were now united as one continuous physical domain (p. 149)”. Relativistic space From here we pass on to the chapter entitled Relativistic Space. The first third of the chapter deals with Newtonian physics and galactic recessions which have little to do with relativity. In the first few pages of this chapter Wertheim reminds us of a very important reason why Newtonian science and religion could cohabit peacefully until well into the eighteenth century: The question of cosmogenesis had not even been considered by physicists. The world was there, all well made and precise, obeying the laws imposed by the Almighty. Origins were God’s business. Scientists accepted the fact that God had fashioned the world the way He thought fit, in six days or whatever, making Light come first and so on. “The fact that the new science did not have its own Creation story made it all the easier to harmonize with Christianity (p. 154).” They were not to ask the reason why, but just to explore and understand the mechanism of it all. 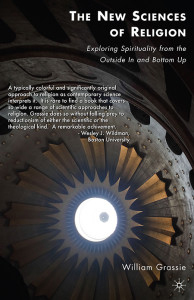 Wertheim suggests that the roots of the unpleasant discordance between science and religion may be seen in late eighteenth century when some thinkers began to speculate about how it could have all started. Of course Immanuel Kant was not suggesting God had no role in it, but he just toyed with the idea of how the solar system might have gradually evolved. Kant did not have an iota of scientific evidence for his thesis, but he published his ideas nevertheless. It was only a few more steps to leap to speculations about how the whole universe might have arisen. It took almost a century and a half before astrophysics and the big bang would come to the scene. And if sun and stars are slowly formed, why not Man and monkey too? We see how the prerogative of creation was slowly snatched away from the Creator. Next the chapter presents a brief background of Einstein, and narrates how the Newtonian notion of absolute space and absolute time were replaced by Einstein’s space-time. (Here she could have mentioned Minkowski too.) After this, there is a good discussion of the general theory of relativity and its implications to the science-religion interface. Einstein’s general theory of relativity is the famous construct of twentieth century physics, which at one time was not understood (so goes the story) by more than a handful of people. Wertheim recalls that from Einstein’s esoteric equation connecting the curvature of space with the matter that causes it, flowed the possibility of a dynamic space: a feature of the universe that was confirmed with the dramatic discovery by Hubble of galactic recession. This expanding universe is actually space in expansion: an emptiness that moves on and on by virtue of the ceaseless centrifugal motion of its constituent globules of galactic matter. This had a conceptual corollary: that at a distant point in time in the very remote past, the monstrous material universe was concentrated at one dimensionless point whence it all burst forth in a majestic explosion that has come to be known with the modest epithet of the big bang. Initially, contends Wertheim, physicists feared this would re-instate the notion of a Creator who caused the big bang to occur. In her words, “So reluctant were some physicists to align their science with anything that even hinted of Christianity, several ingenious theories were advanced to explain how the universe might be expanding without there being an initial cosmic moment (p. 176).” Since she gives no reference for this assertion, it is not clear which physicists she has in mind here. The last sections of this chapter present the notions of black holes, white holes, and wormholes: all respectable scientific jargon, though they are like the Kantian nebular hypothesis of an earlier era in their more speculative aspects. From here on it is easy for her to slide into the fantasy world of baby universes and science fiction. At the end of the chapter Wertheim reverts back to the world of physical space, and reflects on its homogeneity and vast expanse in a most interesting, though questionable, way: “By homogenizing space and reducing ‘place’ to a strict mathematical formalism, we have robbed our universe of meaning and taken away any sense of intrinsic directionality. The flip side of our cosmological democracy is thus an existential anarchy. With no place more special than any other, there is no place ultimately to aim for – no goal, no destination, no end (p. 187-88).” Poetic, but only superficially insightful, for one may wonder if there is not some sort of mixed metaphor here, or perhaps a natural consequence of mixing up metaphors: When we talk of a goal in life, does it mean the same as a goal in a soccer field? When we recognize that space is isotropic, does it mean the same as a drifter’s life being without any direction? Is it indeed the case that as a result of Relativity and the Cosmological principle, the common man lost meaning and purpose in life? I rather doubt it. Hyperspace The metaphor continues in the chapter which deals with Hyperspace: not Wertheim’s metaphor but that of mathematicians. As she rightly recalls, the idea of regarding time as a fourth dimension was already there in the science fiction of late 19th century of H. G. Wells et al., a decade before Lorenz, Poincare, or Einstein. Indeed, she could have gone more than a century earlier and referred to D’Alembert who too regarded time as a fourth dimension. She refers to artists who also fantasized higher dimensions. This chapter also presents some of the more serious attempts to extrapolate space into higher dimensions, discusses the core idea in Kualuza’s version of a unified theory of electromagnetism and gravitation, and appropriately reminds us of how the notion of hyperspace, at the hands (in the minds) of those who confuse metaphor for reality, can generate “some of the most bizarre pseudoscientific speculations(p. 194).” Thus attempts have been made to see morality and consciousness as elements in hyperspaces. Even in speaking of the eleven-dimensional space in string theories we need to be careful about what we mean by space. The modern physicist’s Theory Of Everything (TOE) is criticized for what seems to be its totalizing arrogance. “By positing everything as empty space curled into patterns, hyperspace physics profoundly denies any “other” levels of reality. (p. 216).” What Wertheim seems to miss in making this statement is that this positing is not done arbitrarily and in a hegemonic spirit. Rather it emerges as one possible avenue, indeed the only one thus far, for accounting for the myriad features of the phenomenal world. If, in the next decade or two, a more satisfactory or successful model emerges, that will be the refrain of physics, and the twists and turns of current string theories will all be put in the archives of physics history. Thus, to say: “The trouble with some hyperspace physicists today is that they want to assert their geometric figurings as the totality of the real (p. 221),” seems to miss the point that science is not an enterprise where a single individual or a group proclaims that this and this alone is the key to the kingdom, but rather a groping for the keys which best unlock Nature’s my teries and the cry of eureka! by countless keen and searching minds. Aside from what is probably a misprint to the effect that Gauss’s work emerged in 1860, five years after his death in 1855 (p. 191), for some reason she refers to Riemann as an Austrian (p. 204) and Kaluza as a Pole (p. 206). Cyberspace Then we come to the chapter on Cyberspace. After a brief historical introduction, Wertheim goes on to describe the exponential growth and enormous power of cyberspace. She sees it as a space that is altogether independent of, i.e. not constrained by, the laws of physics, but concedes that it is the result of physics, i.e. of human understanding of the laws of nature. 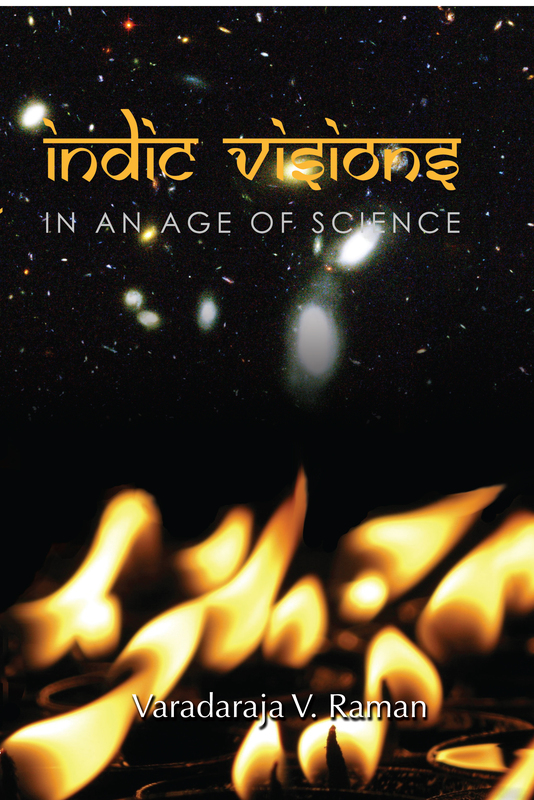 Describing it as an emergent phenomenon, she correctly observes that contrary to the view of cyber-enthusiasts who “have suggested that nothing like cyberspace has existed before (p. 221),” the duality in medieval thought which held the physical space of nature to be essentially different from the spiritual space wherein were located heaven and its counterpart, was an example of the kind of extra-physical space which was independent of physical constraints. One might add that the world of memes is another example of this type of space. Wertheim has an answer for this: “What is at issue, of course, is the meaning of the word ‘space’ and what constitutes a legitimate instance of this phenomena (sic). I contend that cyberspace is not only a legitimate instantiation of this phenomena (sic) but also a socially important one (p. 230).” And she goes on to list the countless contexts in which the term is used when there is nothing like a geometrical space: personal space, room to move in a relationship, mental space, molecular space, evolutionary space, topological space, etc., etc. Then there is a discussion of the mental games which have been created in the new digital domain of virtual reality, for these illustrate how a whole range of activities can occur in a space that is very different from the physical. There is in the cyberworld “a collective mental arena, a space one can share with other minds (p. 233).” Thus she sees the value of cyberspace in “that it encourages a more fluid and expansive vision of the one self (p. 251),” and in the fact “that every one of us ‘occupies’ a ‘volume’ of some kind of ‘self-space,’ a space that ‘encompasses’ us as profoundly as the physical space that modern science describes (pp. 251-252).” This again is an interesting observation which translates what we normally call consciousness or self-awareness into the space metaphor. Cyber soul-space The chapter on Cyber Soul-Space discusses the close parallels between cyberspace and the religious mode. It begins with numerous quotes from cyber-philosophers who exude their mystical feelings, no to say religious fervor, towards this newly emerging component of technological civilization. It correctly recognizes the psychological need for something spiritual in a world of material abundance, absence of meaning in a scientific worldview, and the alienation caused by technological lifestyles. 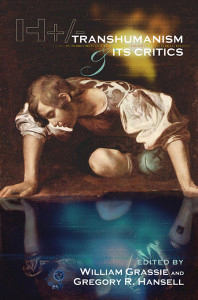 It examines the world of artificial intelligence: the current phase and dreams for the future which include computer downloading of the mind and cyber-versions of reincarnation. The reader is thus treated to a detailed discussion of the newly emerging conceptual creation of cyber-spirituality, As I was reading about all this, I felt uncomfortable at what sounded like a glamorizing of words and images on computer-monitors. I discovered to my pleasant surprise that Wertheim wisely recognizes its basic inadequacy: With all its vaunting noise, this newly taunted religion is without an ethical framework. This supposed spiritual experience is without caring or kindness, and it generates human interactions that are devoid of empathy or sympathy. Cyber-utopia The final chapter, entitled Cyber-utopia, is the only one whose title is space-less. It begins with numerous quotes from cyber-enthusiasts. Like nuclear-energy propagandists of a by-gone era, and other hailers of technological wonders of earlier periods, the prophetic visions of these seers proclaims that the eventual, if not imminent, solution of humanity’s problems are couched in this most recent invention. Some of them think that the internet has paved the way for peace and harmony among nations. Others see in cyberspace the potential for true democracy. Yet others are happy that from now on one can choose one’s own company from anywhere in the world. Some believe incredibly, not to say naively, that social and economic injustices will be solved by cyberspace, as if by sharing information and statistics, new energy sources will be discovered, banks will be more generous with loans, and hateful acts will be curbed. It is not unlike saying: Now that we have plastic credit cards which can be manufactured in the millions, we can solve the problem of poverty in the world: all we have to do is to give every planetary inhabitant a credit card. Wertheim quickly lists some painful problems that are already part of the cyber-utopia. In this context, she could have come up with many more than the ones she has listed, but the weakest – indeed, the utterly unacceptable – argument against cyberspace is that it is “a new form of Western imperialism.” From this paranoid perspective, newly discovered knowledge and technology invented in the West must be securely guarded within the matrix of Western culture and countries, and all former colonies of the West should put a ban on their importation. To describe the opening of the floodgates of knowledge and information on every culture and civilization as “a museumization of the world (p. 298)” is more the reflection of cultural insecurity than an insightful commentary on the new technology. If cyberspace has become a free-for-all for airing every bit of nonsense from every two-bit philosopher, it has also given voice to people from the third world. Each day and every day, there are hundreds of postings in the internet on the evils of the West, on Western exploitation of non-Western countries, past and present, on the misrepresentations of other cultures in the West, let alone serving as an arena for the glorification of non-Western cultures for one and all to see. If anything, this has been one of the major positive byproducts the cyber-revolution. In the closing pages of the book, Wertheim rightly strikes an optimistic note. After recognizing some of its inadequacies, she stresses an important positive aspect of the cyber-revolution: that it serves to establish relationships within a global community. I don’t see why, after almost three hundred pages of discussion from a Judeo-Christian perspective, she suddenly wants to “finish on a note that is less Christocentric, less Eurocentric, and more universal (p. 299).” Here again, she uses the metaphor of good connections: “the strength of a cyberspace as a whole depends on the maintenance of good connections between the various modes. Again this is a good metaphor for human communities (p. 303).” And then, she adds that a lesson we can learn from cyberspace is that “Any community that shares a ‘world’ is necessarily bound into a network of responsibility (p. 304).” Important as this statement is, it is not clear that we need cyberspace interactions to become aware of it. On the contrary, the lesson we have learned thus far from the seamless world of internet is that cyberspace provides ample opportunities for every trouble-maker and mischief-monger, for every hate-filled bigot and religious fanatic, for every pornographer and computer hacker, an arena for exercising his or her perverse penchant. Concluding thoughts The Pearly Gates of Cyberspace exemplifies the power of metaphor: for except in the language of physics and three-dimensional geometry, the word space as used in most other contexts is pure imagery. Metaphors serve to clarify unfamiliar terrains and serve to enrich human imagination, but they also have the potential to mislead us into identifying the analogical with the actual. In other words, if a metaphor enables us to conceptualize a situation, it can also lead to a poetry which may persuade us to mistake the map for the mountain. Though only roughly a third of the book is devoted to the cyberspace announced in the title, Wertheim needed the preliminaries to expand on her central thesis that the notion of space has been evolving, diversifying, and transforming our worldviews over the centuries. She effectively paints the power of the internet, she swiftly highlights the claims of cyberspace enthusiasts, and she wisely draws attention to the weeds and poisonous mushroom that have begun to sprout in the utopia-garden of cyberspace. I had expected to read more of the dangers that are lurking here. Wertheim traces with clarity and historical acumen the notion and implications of the space-duality in the medieval worldview. Here she is absolutely on target. However, she endows the same ontological status to the mathematical notion of hyperspace and the figurative notion of cyberspace. Far from stressing that such extensions should not be taken literally, she laments that “our minds have been so trained – so brainwashed – to think of space in purely physical terms, it is almost impossible for us to think in any other way (p. 71).” One might wonder if the impossibility to think in another way is due to brainwashing or to a proper use of the word space. In the sense in which she uses the term, Wertheim is quite right in alerting us to the fact that “we are privileged to witness the dawning of a new kind of space,” and this book is an exploration of the multiple notions of space that eventually, if unexpectedly, led to this dawning. This is certainly a very interesting book. 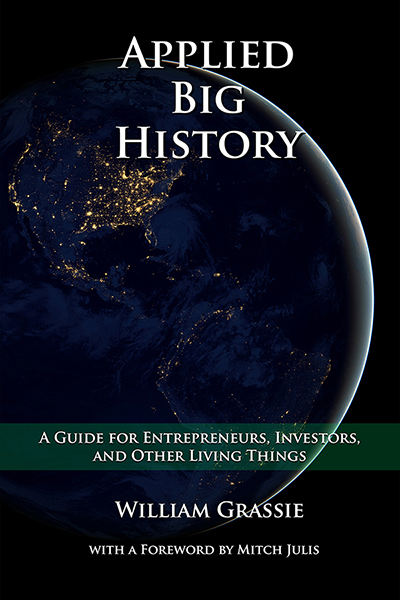 It brings together in a most thought-provoking way many seminal ideas that lie scattered in various other books and journals and public discussions. It weaves a variety of worldviews and perceptions into a cogent sweep of history, and brings to light the underlying constructs (valid or not, imaginary or actual) of space that have played a role in our interpretation of the natural, supernatural, and conceptual worlds. 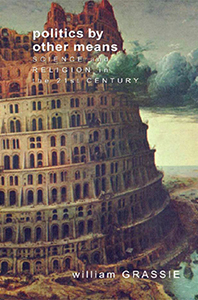 It reveals the (not always explicit) interconnections between science, religion techno-talk.